Although we&apos;re still waiting on an official launch from Nike, the Kobe X is already gaining some traction, and this latest colorway could be the best look we&apos;ve seen so far. Just yesterday, Kobe stans everywhere let out a major sigh of relief as it was confirmed that there would be a high-top Flyknit version of the Kobe X. 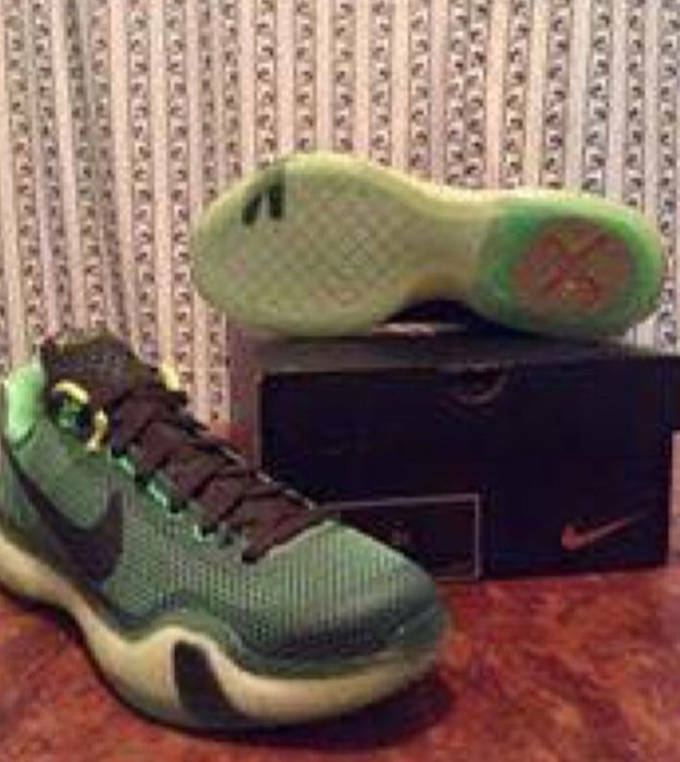 Today, we go back to the low-top with the latest colorway being dubbed the Kobe X "Green Vino". The inspiration comes from Kobe&apos;s longtime career which, “Like wine, the Mamba gets better with age.” Although the pictures are grainy, the shoes come in a poison green upper with sequoia and volt accents and detailing throughout. As of now there&apos;s no confirmed release date direct from Nike, but rumors are circulating that these will drop February 21 at select Nike Basketball retailers. 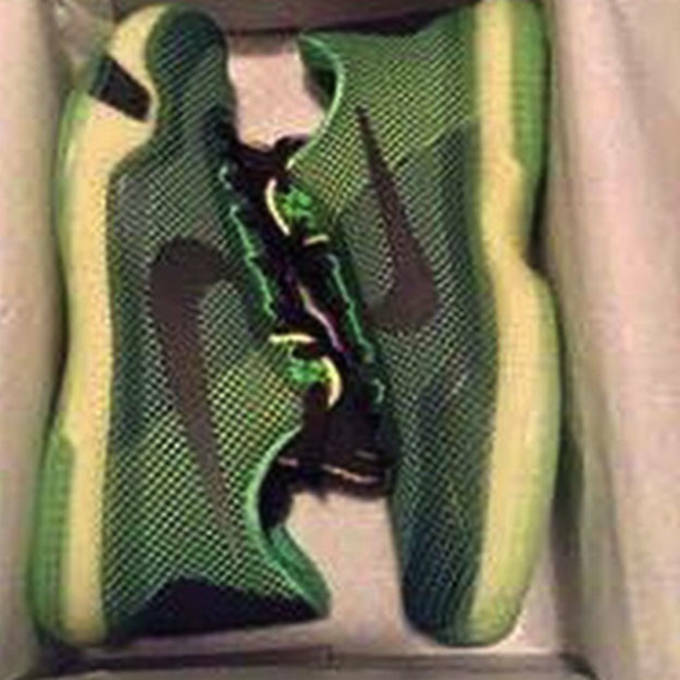 Check out the full photos of the Kobe X "Green Vino" below and let us know if your planning on getting a pair.